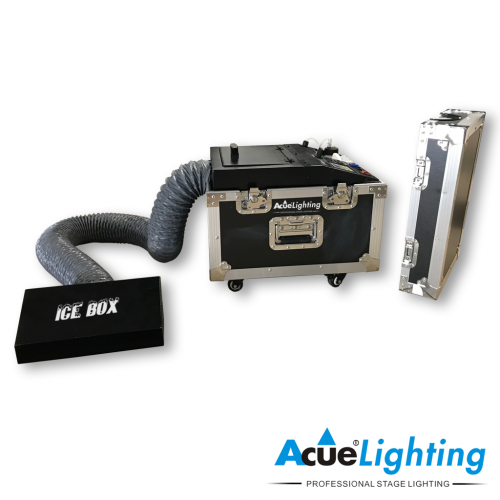 The Acue CO2 Jet Jr LED is a compact yet powerful cryo-FX fixture, which features 12x3W RGB High Power LEDs. 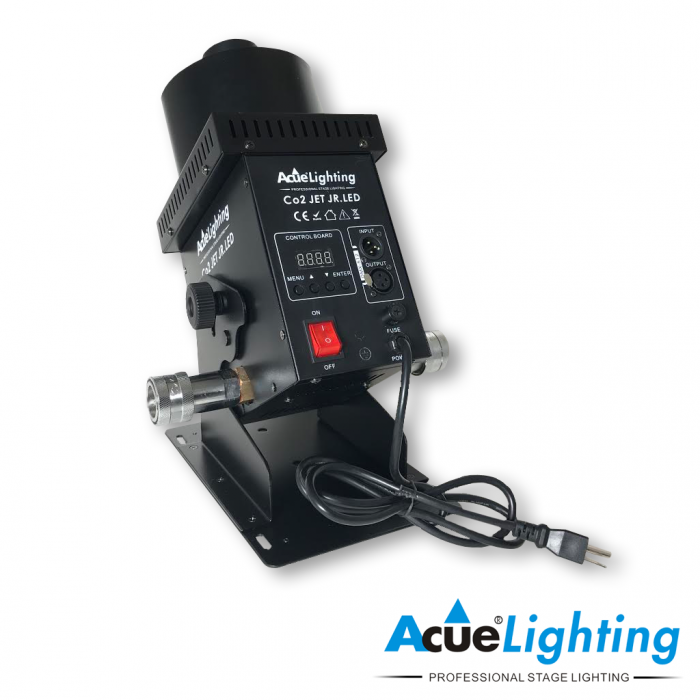 It has built in DMX control and features remote operation via a remote control (remote included). The CO2 Jet Jr also features a CO2 line input and output allowing for daisy chaining of multiple fixtures. 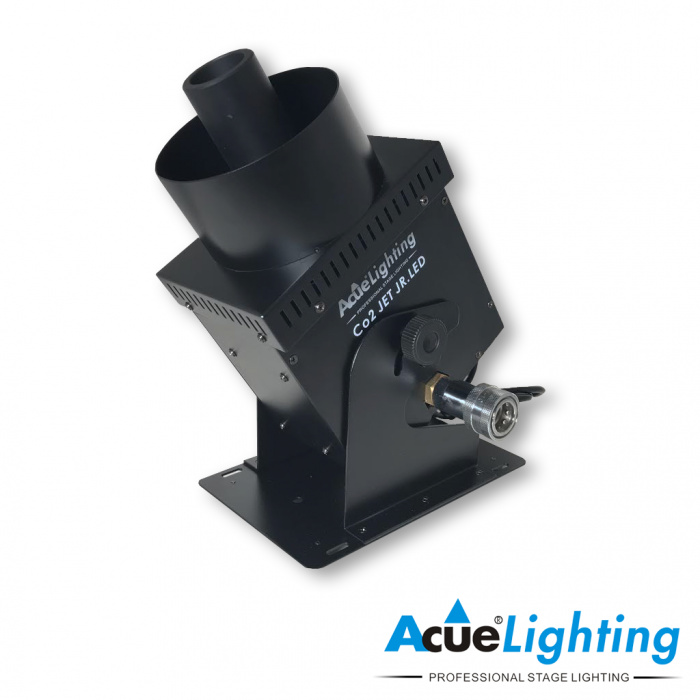 The CO2 Jet Jr can create powerful and high CO2 effects which can spray up to 26-32 ft. With the built in LED color system there are endless color possibilities. 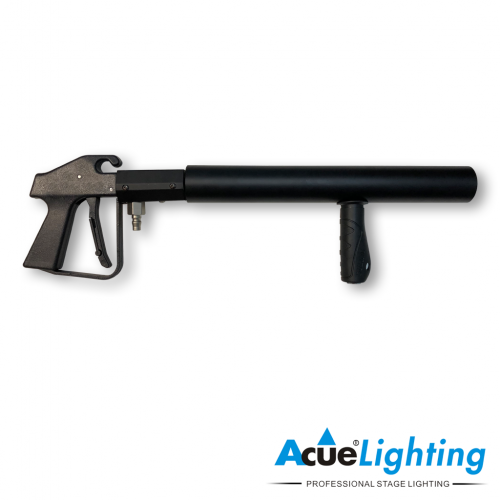 For example, you can make a typical CO2 jet effect look like fire by just adding the red LED. 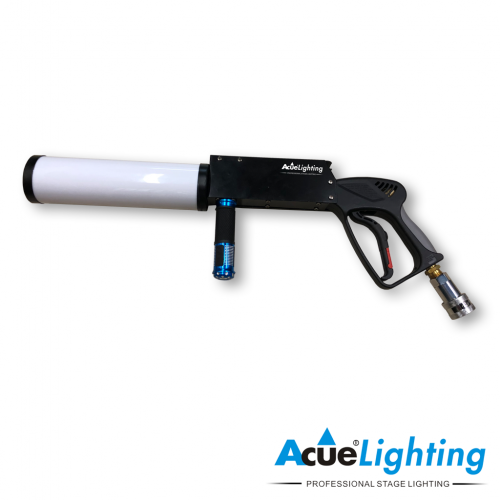 The spray nozzle can be adjusted as needed to control the spray position. 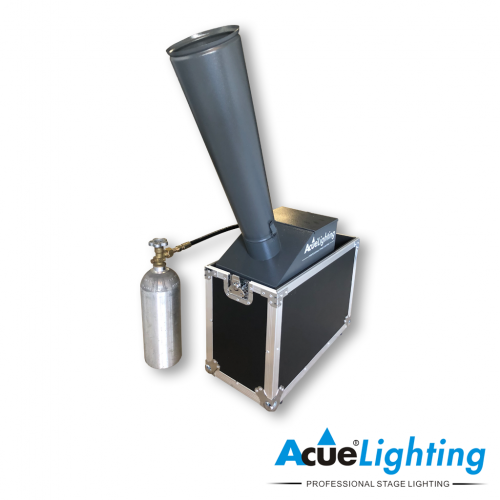 The CO2 Jet Jr is suitable for installation use or can be mounted to any truss and be placed on any flat surface.